One of the rare but important clauses in music licensing agreement is the “Indemnification Clauses”. This is a legal phrase that when explained in layman term refers to a protection to either one of the contracting parties in case a lawsuit or a case is filed against the protected party. Let’s have an example. Supposing you are assigned to research songs for a radio airplay/programming; you surf the internet and shop for possible good songs that fits your station audience. Your boss or your guidebook entitled “So you want to start a career in commercial FM station?” always gives strong advice not to download songs from the Internet and use it for your radio station . 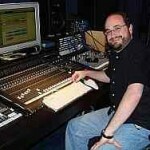 It is because the owner of the website may not have the “publishing” rights to license the songs to you. However, you might notice things have started to change and almost everything has been conducting business online including commercial banks, so why would you not try surfing for good songs on the Internet? 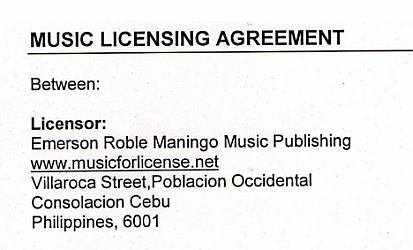 Licensor– the music publisher of the song, or it is the author of the song if not represented by third party music publishers. Licensee –the one licensing the music. Now the question, does it sound fair? The answer is yes. The licensor assures that if ever the licensee is having some legal problems brought about by the agreement; the licensor will answer for it “legally”. Depending on the clause, it might state as to what extent that the licensor would be supporting the case. This can include legal fees, damages, etc. With the indemnification clauses, you are harmless from any claims and this gives you a peace of mind when entering an agreement onine. You just have to make sure the licensing agreement contains that indemnification clause. Of course as as disclaimer here, I’m not a lawyer and the content in this article does not constitute legal advice. If you want to make sure if the indemnification clause is fair or enforceable, then you need to hire an attorney to review it for you. Does this sound fair to the songwriter? Yes, let me illustrate first why this is important from a music publisher perspective. Supposing Record Label X would license a song from the music publisher written by Songwriter Y. Then the record label produces the song for artist X and releases it as a single. 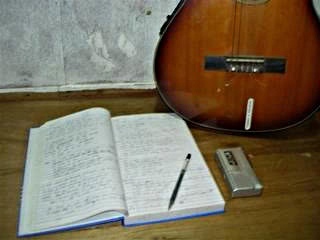 Years later, a lawsuit was filed against the label that the song is not written by Songwriter Y instead by another Songwriter X. 1.) If the music publisher answers all the potential liabilities arising from the contract (via an indemnification clause) then this means that the record label can ask for damages from the music publisher arising from the lawsuit. 2.) On the other hand, because of the indemnification clause between the music publisher and Songwriter Y, the songwriter would be liable to answer legally with the lawsuit. 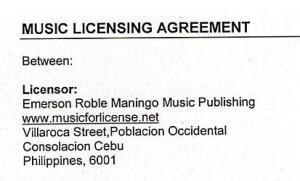 The music publisher can also ask for damages from the songwriter for falsifying the document. From the songwriter perspective, this clause serves as a strong warning not to submit questionable songs to the publisher. This type of songs do not have proper copyright records, official songwriters, etc or in general- no proper documentation support. There are some songwriters which are taking advantage of other songs that they do not own, as a result it all ends in a lawsuit. One of the common sources of trouble are bands. Band members are writing the songs but only gets the credit (probably because the main writer is greedy not to include the other band members). When the song landed a publishing deal and gets published in an album, other members of the band would sue the publisher and demanding credits or songwriter share. The best way is to consult an entertainment lawyer. The lawyers will double check whether the indemnification clause suits your need, unfair or irrelevant. Some indemnification clauses are unfair or not balanced between both parties. Beware if you see these lines in the employee-employer agreement. This indemnification clause for me is what classifies a “shark employer”. Of course it sounds unfair and do you know why? What if you do the work as instructed “perfectly” (employee following rules) and it’s your managers or company policy that results to disaster, are you willing as an employee to pay for that mistake ALONE? Of course not! If you see these lines in your employee contract, they are not good employers for you. Before you can use any copyrighted songs, you must know and understand the terms outlined in a music licensing agreement. This short guide will illustrate some of the important items.